I got this message recently from someone on my email list. Im a novice in this but i was studying a lot years ago. The thing that made me step back in it was that in my quest for knowledge i found out this thing about The Internet Marketing Syndicate. Could you if possible clear for me if there any truth on this Scam and what are the guys i need to avoid get info from? The thing is that im from Brasil and i know now there are some Internet Marketers promoting similar stuff there. Similar to Lauch Formula of Jeff Walker. Is there any good in this stuff or are only hype? Obviously, I’m not in a position to comment on the Syndicate, and I really know nothing about “game”. Of course, there is obvious and clear history linking a lot of these “marketers” together. 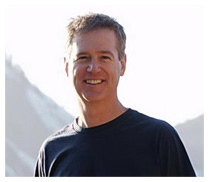 I am happy to talk about Jeff Walker’s “Product Launch Formula”. In my opinion, it works. That’s obvious, because everyone’s using it, and have been for ten years. Why does it work? Because it systemizes a model of scarcity and pressure-selling. For me, that’s unethical. Sure, if you have *real* scarcity (like if you only have 2 boxes of the product left, or you’re offering coaching and there are only so many hours in the week) then that’s the truth and you can use it to increase urgency in your selling message. People have been doing that for thousands of years. But PLF is about creating artificial scarcity. It says, “Instead of just offering the world what you sell, create a buzz around an limited window of opportunity.” Then there’s a lot of stuff around the tactics of how you build up that buzz, and create multiple opportunities to buy, etc., all stuff that’s been tested and pretty much perfected over the years. At the end of the day, it’s fundamentally unethical. So the question is, what do you want? If you want to make as much money as possible, by persuading or coercing people into buying your stuff, use PLF. I choose a different path. I prefer to build real trust over time (sometimes a long time) and to earn a small tribe of loyal followers. Not “get rich quick” addicts. People who are like me, and who want to build the same kind of world that I want to build. It’s down to your own ethics and your own choice, my friend. What do you think of PLF? 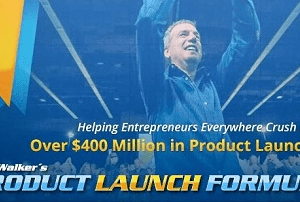 Have you tried Jeff’s Product Launch Formula? Did it help you to sell your stuff effectively? If you offer a guarantee, what percentage of buyers have claimed on it? How have the client relationships panned out?